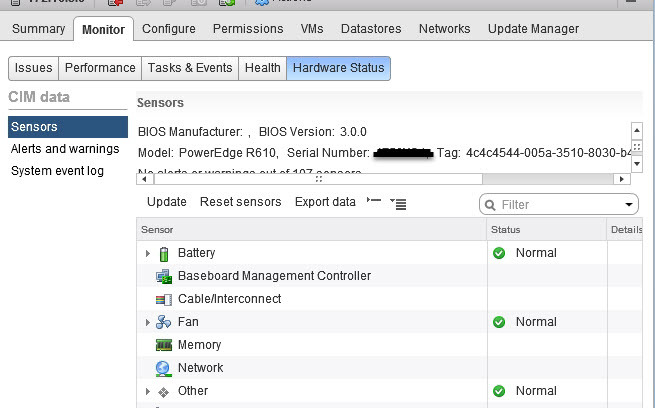 So having upgraded our environment and several of our customers as well to vSphere 6.5, we realized that the Hardware Status button under the Monitor tab for the ESXi 6.5 hosts are showing "No host data available" for the sensors. 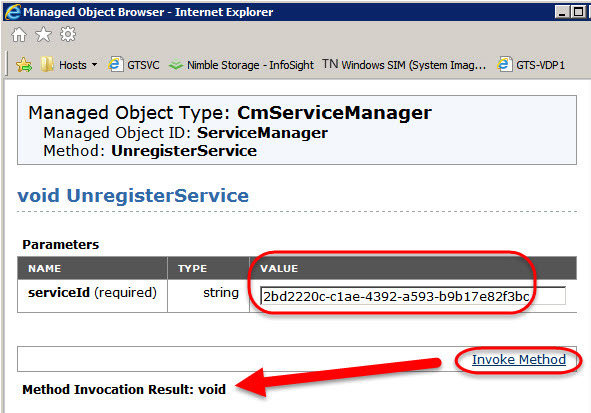 Well apparently this is a known issue as VMware has created KB 2148520 in relation to it. 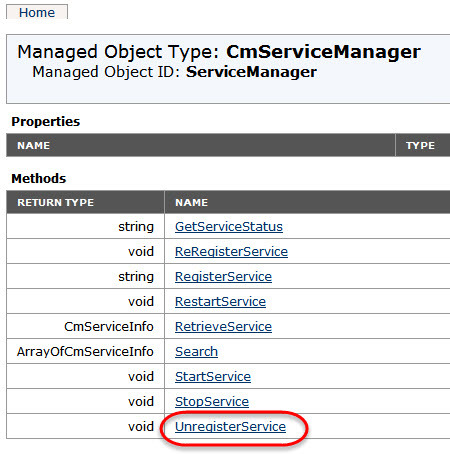 Apparently, after upgrade, there is a stale Service ID that needs to be removed. This is a known issue affecting the vCenter Server 6.5. 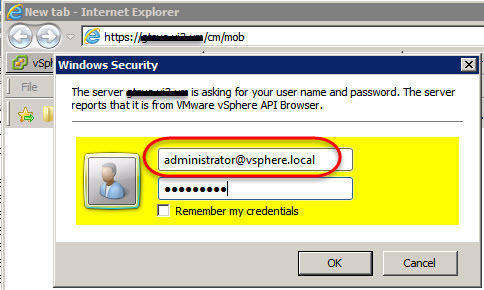 Login as the administrator@vsphere.local user. 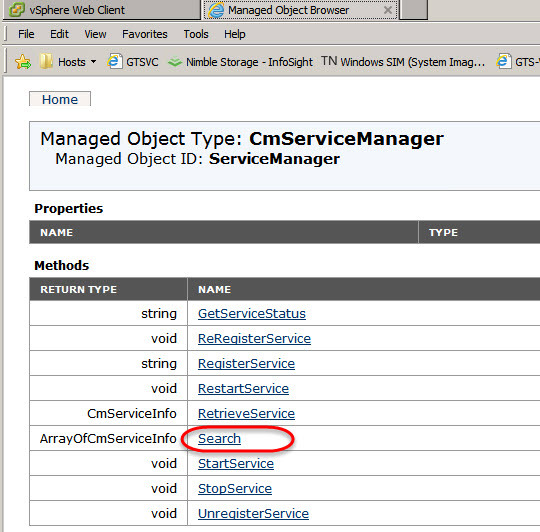 Press Ctrl+F and search for cis.vws.servicename. Copy the serviceID string directly above cis.vws.servicename. Under the Value column, enter the string copied in step 7. So today while I was teaching class, a student created an interesting problem. We were doing a lab on DRS where they create a single Host Cluster for DRS and all add their hosts. 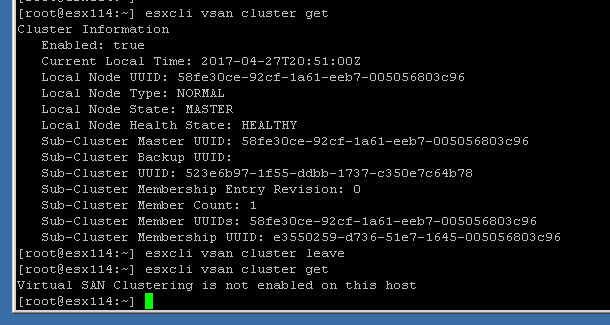 Well, one student created his own cluster, apparently checked the box for VSAN cluster in the process, added his host to it, then realized he was supposed to be in the "shared" DRS Host Cluster. It turns out there was a VSAN datastore created with no disks in it and, his host still had an affiliation with the VSAN Cluster that no longer existed. From Storage inventory view in vCenter, verify a VSAN datastore still exists. vCenter Server Windows & VCSA 6.5.0d is Out!! Well that was fast... 5 days after the release of VCSA 6.5.0c, comes 6.5.0d for both Windows & Photon OS versions of vCenter. Primary reason is bug fix support for VSAN 6.6 that was just released. The vCenter Server 6.5.0d release includes new features and bug fixes related to vSAN 6.6. For more information, see the vSAN 6.6 Release Notes and the vSAN 6.6 documentation. The simplest way to install the patch is to use the Update feature in the VAMI interface of the VCSA GUI. Click on Update on the left. You can use the Settings button to setup Automatic Checking for Updates to VCSA. You can manually check for updates by clicking the Check Updates button. Once an update is displayed as in the following picture, you can install it.